Spotted by our Colour Trend Creative Sally Davies at this year’s Pulse, Rokos impressed with the launch of a new transparent glass vase with the same playful quality of previous award winning designs; as the water level decreases the vase rocks and changes position, taking on the behaviour of a wilting flower, letting you know the flower needs watering. 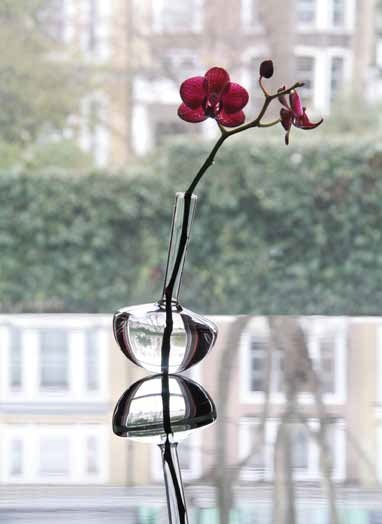 While not the most colourful of designs, instead this vase celebrates the beautiful hues of the stems it contains. Stay up to date with all of the latest colour & trend information 1 year ahead of the season with Mix magazine. This entry was posted on 18/06/2013 by mixmarketingupdates.